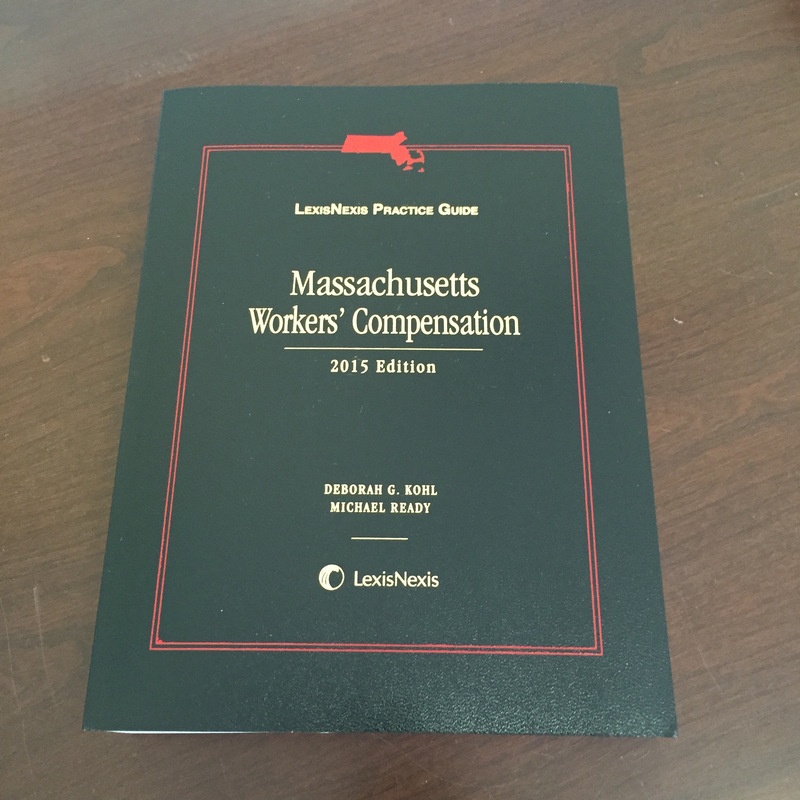 Our Partner Michael Ready co-authored a book: LexisNexis Practice Guide: Massachusetts Workers' Compensation, 2015 Edition. It is a practical Guide for attorneys practicing workers' compensation law and is available through Amazon.com. What Massachusetts Attorneys are saying about this guide (From Amazon.com). "As an able and experienced Massachusetts workers' compensation defense attorney, I was so impressed with this publication that I went out and purchased my own copy immediately. ...Kohl and Ready have synthesized their experience and knowledge of Massachusetts workers' compensation from the employee and insurer/attorney perspective. The result: a must read for any and every attorney representing clients in litigated matters before the Department of Industrial Accidents. Even experienced attorneys can use this volume to win cases and influence Administrative Judges to rule in their client's favor."